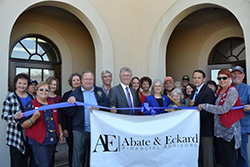 Mayor Randy Roach cuts the ribbon at the grand opening of Abate & Eckard, Financial Advisors. 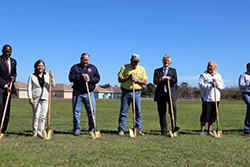 Mark Eckard participates in the ground breaking ceremony for the new Ward 3/Lake Charles Natatorium. 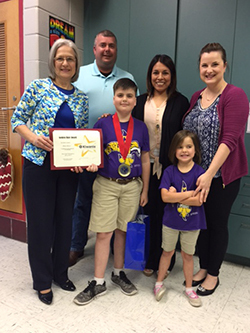 Eva Abate, Kiwanis Lt Govenor presents the Golden Rule Award at Moss Bluff Elementary. 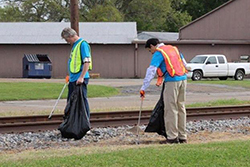 Mark Eckard and Mayor Roach participate in Leaders Against Litter to highlight the impact litter has on the Community. 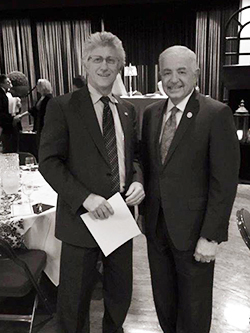 Mark Eckard and Sen Ronnie Johns attend the Lighthouse Ministries Banquet to support their home for unwed mothers. 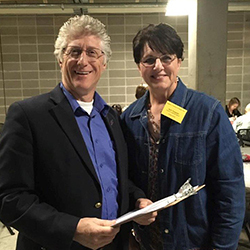 Mark Eckard recieves final instructions from Beth Ferguson to serve as judge at the State Social Studies Fair.